When he was hitting the headlines for his talent rather than being the boy in pink, Rugby World caught up with ‘Dot Cotton’ when he was still at Wasps to talk about bugbears, dressing as ‘Son of Lol’, and being Prime Minister for the day. 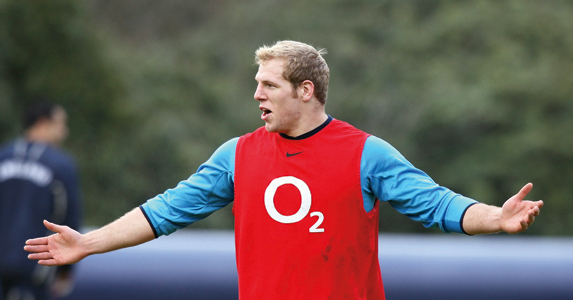 RUGBY WORLD: Last year, Tom Rees revealed that you wanted to be known as The Haskellator. What would you like to say in response? RW: If you could have one superpower, what would it be? JH: I was thinking about this the other day. The ability to stop time and go backwards and forwards. Then you could find out what the lottery numbers are, who shot JFK and so on. RW: If you were prime minister for a day, what would you do? JH: I’d make prisoners pick up litter and clear up the sides of roads. We’ve got all those criminals watching TV all day – we should get them to do all those things. RW: Do you have any other bugbears? JH: Plenty – the congestion charge, speed cameras. I hate speed cameras. RW: What’s your party trick? JH: I don’t have one. Tom Rees does a brilliant card trick, though, like Derren Brown. You pick a card and when the pack is folded out the card you picked has a different back to all the others. JH: A catalogue of them. When I was younger I touched the ball for the first time in a match and scored a try – but it was on my own try-line! Some parent – bear in mind this was under-nines not U16s – yelled: ‘You complete plonker!’ For a long, long time afterwards I was thinking whether I should keep playing. RW: Did you go to a Wasps Christmas party dressed as Lawrence Dallaglio? JH: Yeah, one year I did. I was being nicknamed ‘Son of Lol’ at that time and I was very pleased with my costume because a lot of people thought I was him for a while. I had this bald mask and then stuck little bits of hair to it. I spent a lot of time getting it right. JH: Well, I’ve got my Young Guns Academy to give kids the opportunities I’ve had. It’s good for them to have proper coaching. I’d also like to make sure I was a fully-rounded person. RW: You also had a go at sailing in the summer [above]. How was that? JH: It was unbelievable. I took part in the Artemis Challenge in Cowes Week and raised money for Help for Heroes. It was a lot of hard work, but a great day. We had a crewe of eight and were out there for four hours and it was still pretty hard, so I don’t know how guys do it around the world on their own for three months. Unfortunately, we didn’t win the race and, for a Wasp, that’s not acceptable. My aim was to beat Alastair Campbell on one of the other boats. There was no way I wanted to lose to him, but unfortunately it wasn’t to be. I’m never going to live it down! RW: Who would you like to be trapped in a lift with? JH: The Swedish U21s volleyball team. RW: A house or car aside, what’s the most expensive thing you’ve bought? JH: I paid for a holiday for my parents – I took them to South Africa. They had a fantastic time and it was a thank you for keeping me on the straight and narrow. RW: What couldn’t you live without? JH: My mobile phone. I check it before I go to sleep and if I get up in the night I’ll check my emails and everything. I think I’m what they call a ‘Crackberry’!